The sunny weekend in London inspired me to head up to Columbia road markets and do some gardening. 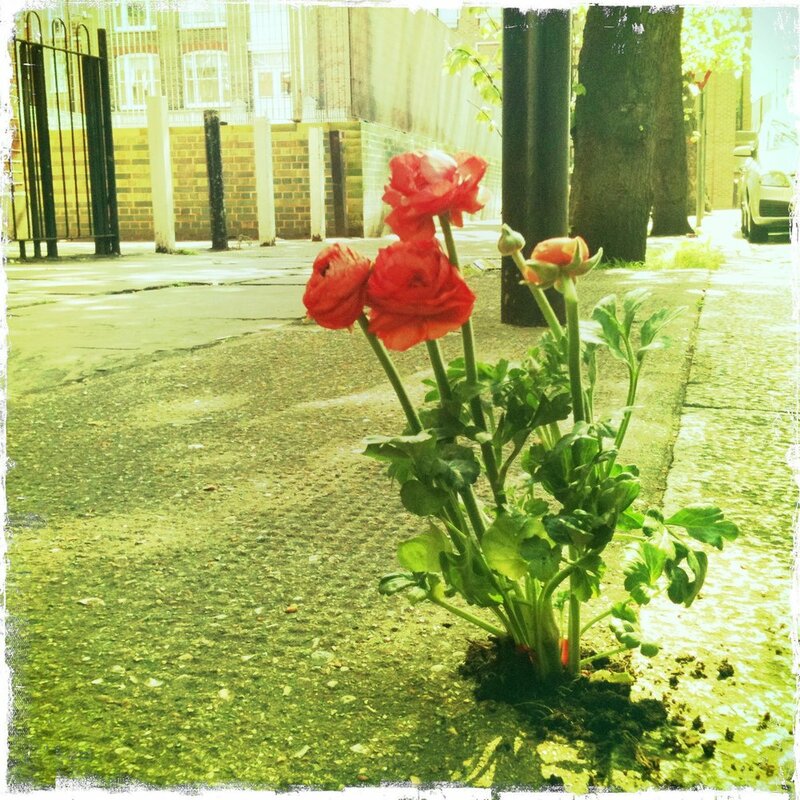 I found a nice new home for these ranunculus just near Arnold Circus in Shoreditch. Thanks to Tom my new gardening buddy for his help!